Can You Spay a Cat in Heat? Can You Spay a Pregnant Cat? When Does the Milk Supply Run Out? When Does a Cat Go Into Heat After Birth? How Many Times Can a Cat Become Pregnant? If you haven't already planned to keep all the kittens from the litter, you'll need to start thinking about placing them in permanent loving homes when they are eight to twelve weeks old. You will want to find potential adopters for your kittens who will love, care for, and appreciate them as much as you do. 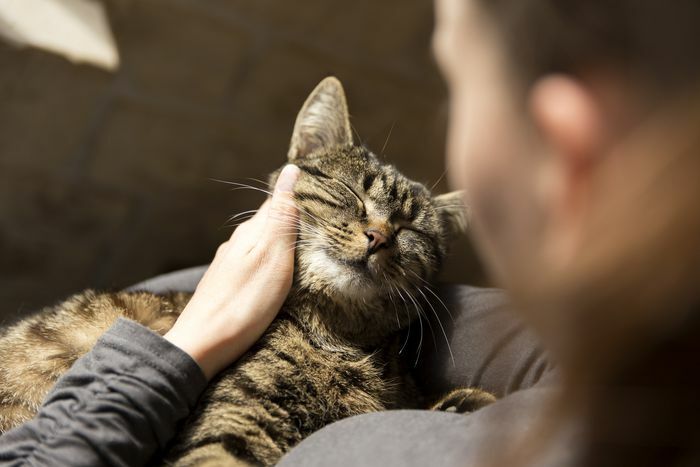 There are a number of positive things you can do to help ensure the people you are entrusting your kittens to will be responsible cat parents. Here are some things you should do to get ready to find your kittens homes. The mother cat will usually start weaning the kittens somewhere around three or four weeks old. However, some kittens are needier than others and will continue to suckle for several more weeks. They should all be trained to eat canned kitten food, to use the litter box, and be well-socialized before releasing them to new homes. 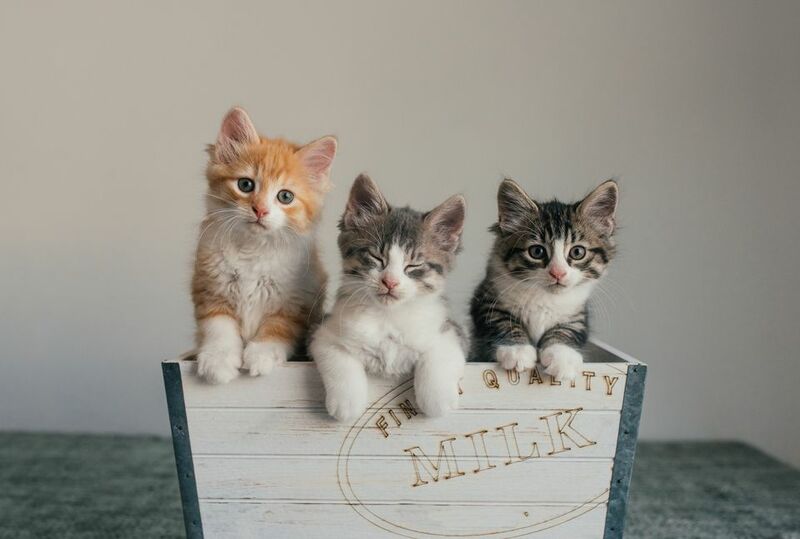 Most kittens can be safely spayed or neutered at the age of six weeks, by a vet familiar with early spay/neuter techniques. If you have no such a vet locally, consider asking for a spay/neuter deposit, to be refunded when the adopter of a kitten presents evidence the S/N has been done. You don't want to count on the kittens' adopters to take care of this. The kittens should also be tested for ear mites and worms, and treatments were given, if necessary. At the same time, if the mother cat has not already been tested clear of FIV and FeLV, this should be done now. Both of these diseases can be transmitted to the kittens in utero. You can base it on your out-of-pocket costs but include enough to cover a refundable spay/neuter fee when applicable. To make the kitten an Indoor-Only pet. Had the mother cat been kept indoors-only, this litter would likely not exist. To spay/neuter before 5 months of age. Assuming this wasn't done prior to adoption. To return kitten to you if it can't be kept. After being a surrogate for these kittens, you wouldn't want one dumped out on the street or in a kill shelter. NOT to declaw the kitten. Print out and hand this information to all potential adopters. Your Local Veterinary Clinic. Your veterinarian, vet techs, and other employees are usually aware of clients looking for kittens, or others who have recently lost a cat and might be looking for another. Local Cat Rescue Groups. These dedicated volunteers usually include fosterers and show cats and kittens for adoption at local pet supply stores. Even if they can't take your kittens, they may be able to share useful tips. Petfinder.com. This organization is a clearinghouse for thousands of shelters, rescue groups, and individuals involved in the rescue. The site is searchable by area, so your chances of finding responsible homes near you are good. If a prospect looks good so far, consider asking for a home visit, so you can see if they are equipped to care for a cat. If they have very young toddlers or large dogs, a kitten might not fare well there. "Free Kittens" Ads. We emphasize charging an adoption fee for your kittens. This is to avoid any of the tragedies that can go along with these ads. "Free Kittuns," by Jim Willis, although fiction, is an excellent description of the very real pitfalls of these ads. For the same reasons, do not attempt to give away kittens from a box outside your supermarket, nor post "Free Kittens" signs on poles. The hard and fast truth is that many people set little value on anything that is free, and the kittens may eventually be treated badly. If this cat was a stray, or your first experience at fostering a pregnant cat, by now, you are well on your way to becoming an expert. Take a break or look for the next cat to foster. But before that, you still have one thing left to accomplish: spay the mother cat if it has not already been done. What Happens to a Kitten During its First Week of Life? Can You Spay a Dog or Cat in Heat?